One more step in ADF/BPM integration I would like to cover today. This is based on BPM 11g PS6 ADF sample application with included BPM workspace ADF task flow - Customized BPM 11g PS6 Workspace Application. I will show in this post how you can start new process instance from ADF with BPM API. This is custom ADF/BPM application, you need to point to SOA/BPM libraries in your environment. Most of the task details should come from DB, you could pass only Task ID - it is easier then, no need to store all the payload in BPM. Do you have any similar samples about this case? You see, I already have some pages and regions with bindings to the payload. Inside of BPM worklist they work fine, but now I want reuse them in a custom application. 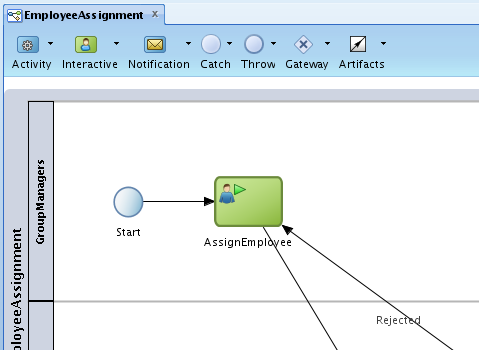 So, I have to pass somehow bpm parameters (context, taskId and so on) and invoke the bounded taskflows from my custom ADF application. Have you had anything similar situation? Could you please let me know how to customize task table here. I want to implement pegination for the same.